We manufacture, export and supply the Equipment Enclosure Containers on regular basis. RO Plant Container - Water Purification Plant Fitted inside a Container. Genset Container - Generator Enclosure fully equipped. Panel Room Enclosures - Enclosure for Panels with required Mounting arrangements for Panels. Fuel Station Containers with Diesel Storage tank inside container. Workshop Stations of different types. 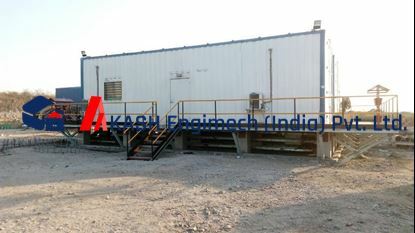 Containerized Solution for Enclosing Generator Sets.